Naan is one of the most popular flat breads served with South Asian food. 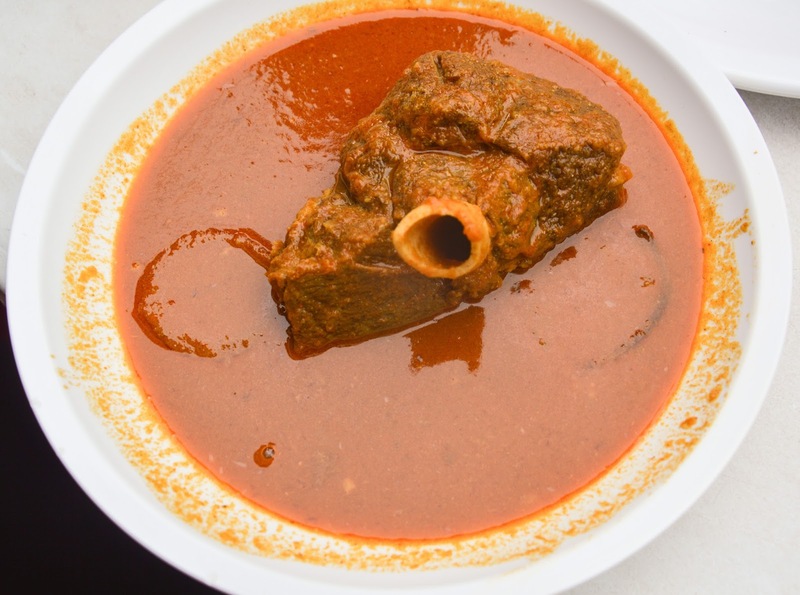 In particular, accompanying food from the Northern Area of India, Pakistan, Afghanistan, Bangladesh, Iran, Uzbekistan, Tajizkistan and surrounding areas. 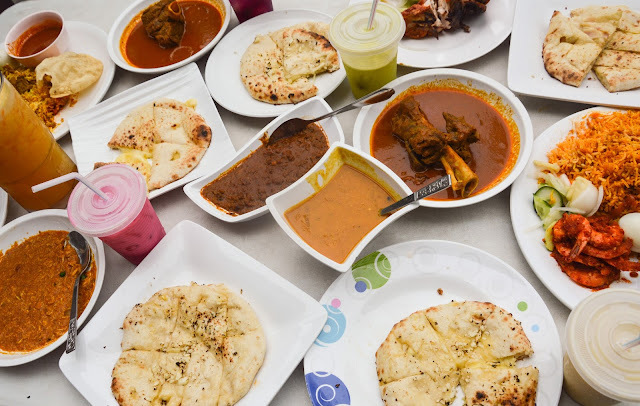 But in Malaysia, Naan is also a popular staple food for every Malaysian. 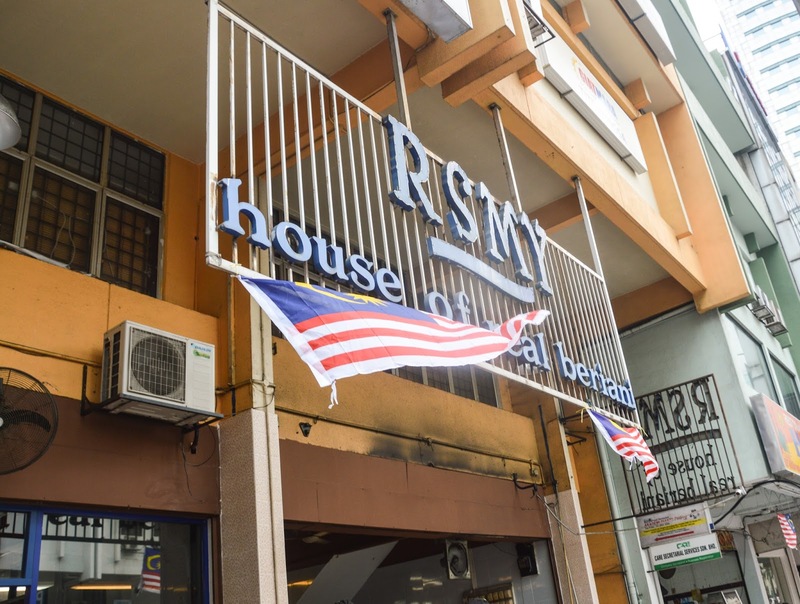 RSMY restaurant, situated at Jalan Medan Tuanku is one of the 2 RSMY restuarant in Kuala Lumpur. The other RSMY restaurant is situated at Danau Kota, Kuala Lumpur. I never been at the Danau Kota restaurant and this is also my second time having my Naan Cheese at RSMY Medan Tuanku. The restaurant is just like any ordinary casual restaurant or Mamak place we can find in Malaysia. 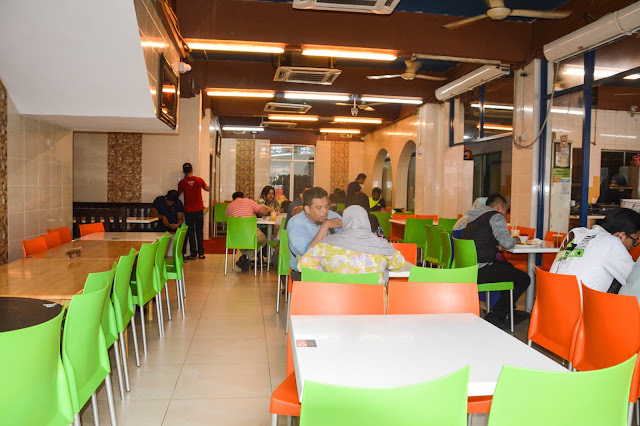 There is air condition area if you prefer to eat at more cooler section and of course the open air section. Even though RSMY using the tagline of "House of Real Beriani" , it is known with their Naan Cheese more. 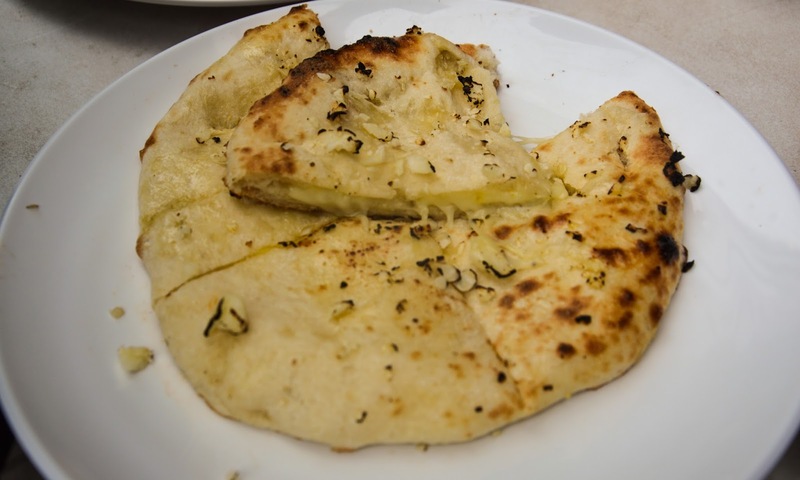 If you can see the amount of cheese in the Naan bread you definitely know why it is famous with their Naan Cheese. 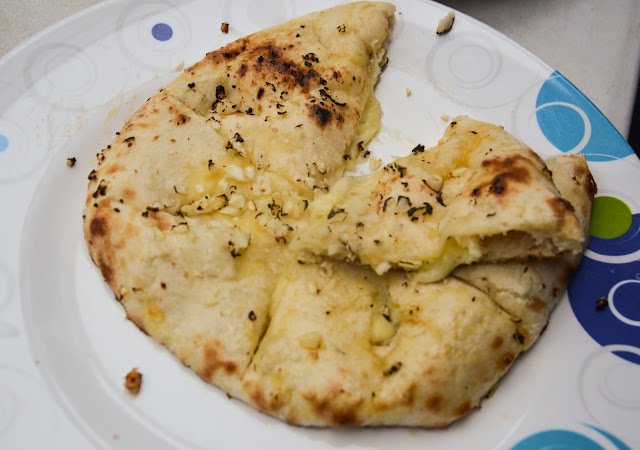 The Naan is full with the cheese and you absolutely satisfied with it. In RSMY there are varieties of Naan can be choose from the original Naan Cheese to Garlic with Chicken Slice Naan Cheese. 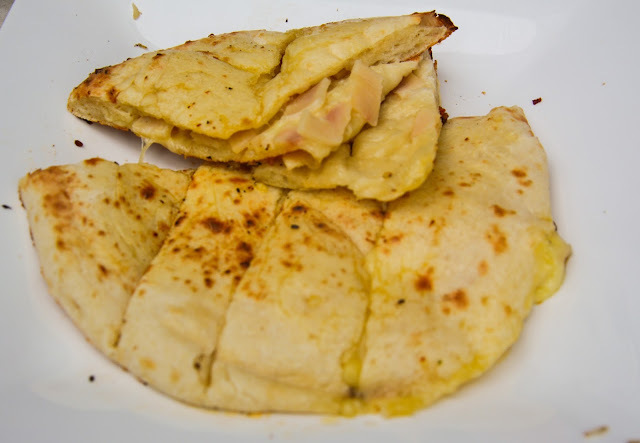 There are using the Chicken Ham(the cold cut chicken) for the Chicken Naan and it taste great! 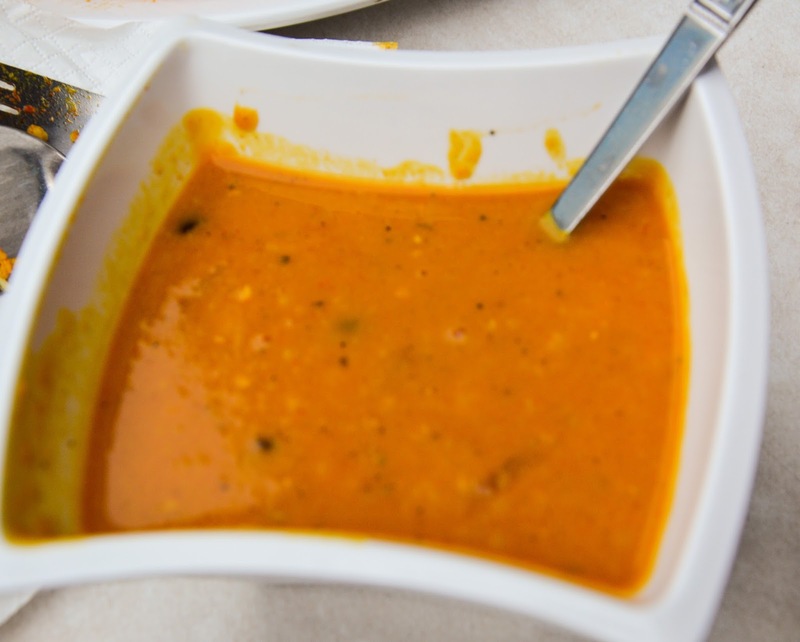 Others side dish you can add on when having your Naan is Tandoori Chicken and sauces or dipping. In here the famous dip is the Keema. 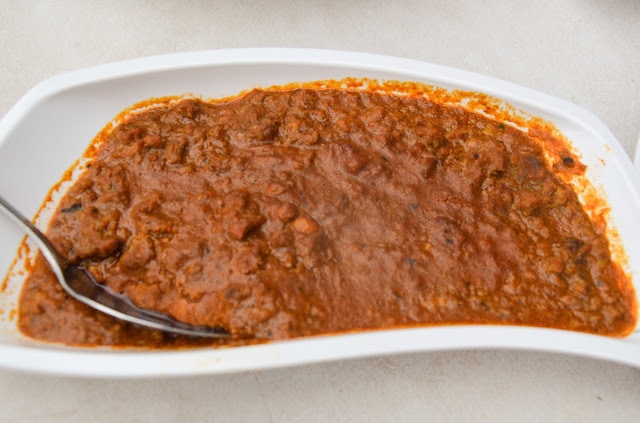 Keema are made with minced meat, and it has a rich flavour of curry and coriander inside. The combination of Keema and Naan Cheese will help you to eliminates the dull feeling of the cheese. 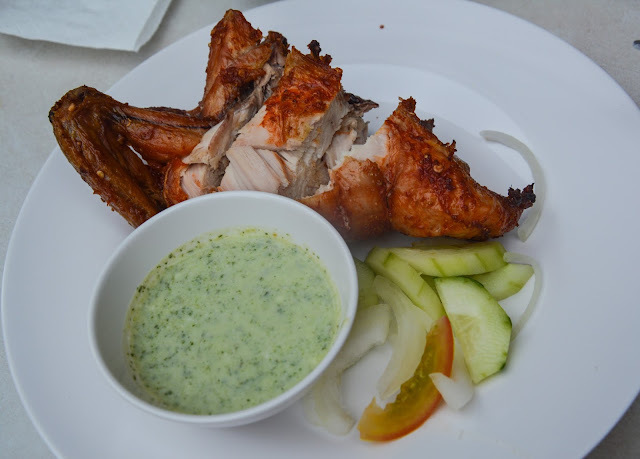 Other dipping sauce you can try is Chicken Kerayi. 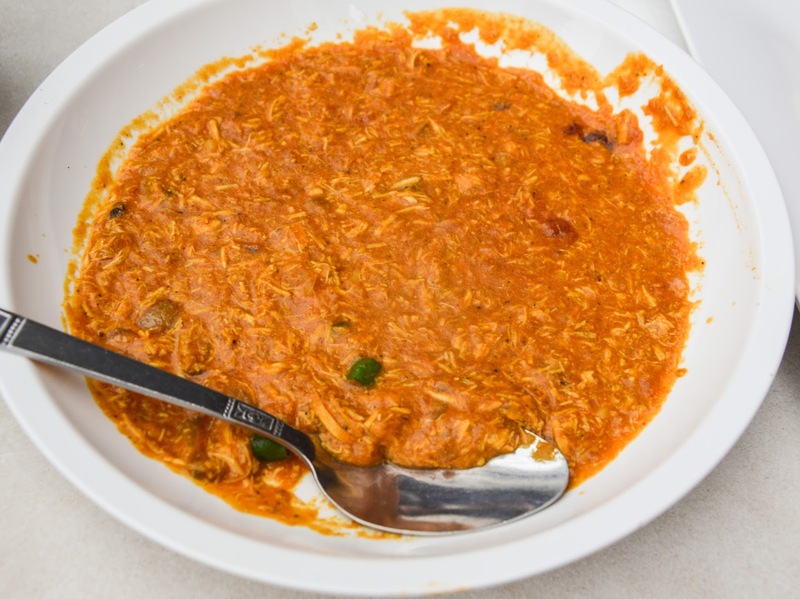 Is the mixture of shredded chicken and it Malaysian favorite Bird Eye's Chilli that makes it suit well with Malaysian tastebuds. The Dhal are sell seprately, unlike the others Mamak restaurant but the portion of one Dhal can be eat with 3 to 4 more friends. I do love the Dhal, the thickness and taste of Dhal bean in it are complete. If you love to eat your Naan with Tandoori Chicken, you might love to eat it with Lamb Curry or they call it the Lamb Kerayi and Lamb Shank in RSMY. I'm a fan of Lamb and this is something one of my favorite. 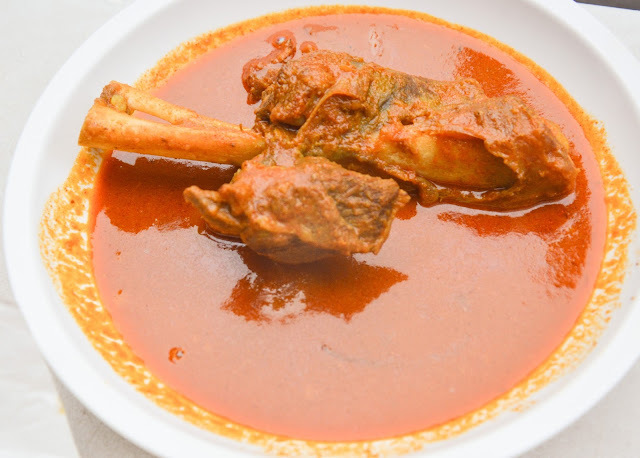 I love the soft meat and the taste of curry in it. So what is "House of Real Beriani" without a Beriani right? On that day, we had two kinds of Beriani which is Lamb Beriani and Prawn Beriani. Lamb Beriani are definitely my favorite. 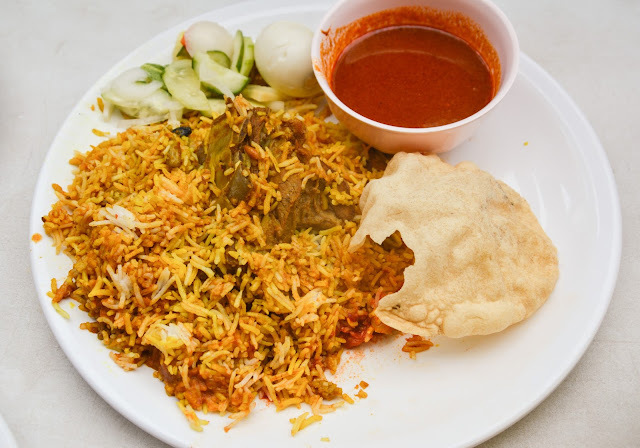 With the Lamb that cooked together with the rice makes the rice tastes more richful and the lamb meat are more softer. While the Prawn Beriani is so Malaysian Lah! It's so spicy for me. I can't bear too spicy food but if you love spicy food you can try the prawn. It also sells separately if you wanted the prawn only. 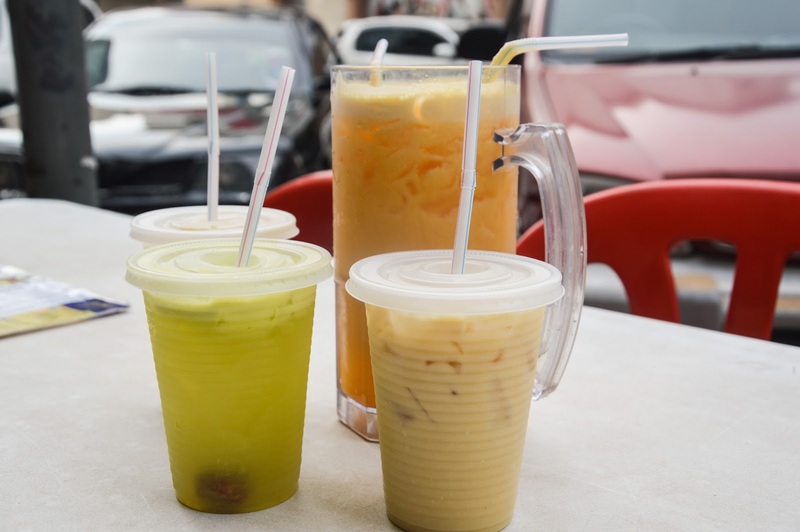 Like any others Mamak restaurant, the drink is same as expected but the others sepecialty drink you can have here are like Mango Lassi, where it has the original taste of Lassi in it. They also served Fresh Cow Milk. Our food for that day! 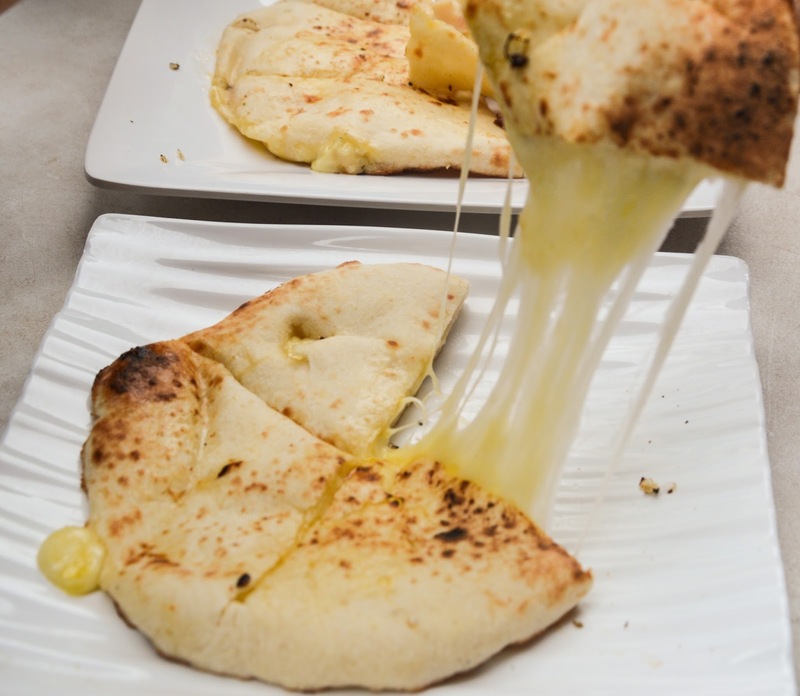 Taste the melted cheese in every bite of it. Bon appetite! 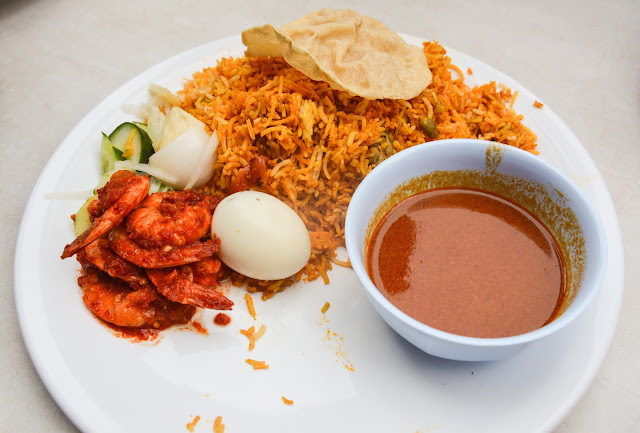 Gambar je pun dah buat kiter lapar..